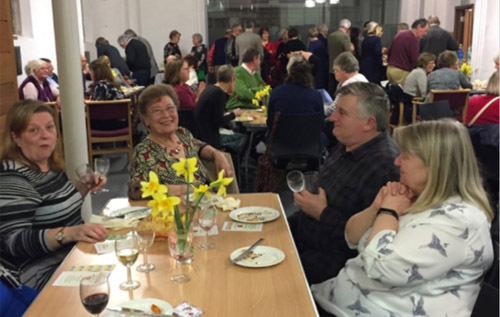 The Reepham-based Iceni Choir held its first ever cheese and wine evening on Friday 1 March at St Michael’s in Reepham, when more than 70 people attended what turned out to be an enjoyable and fun evening. 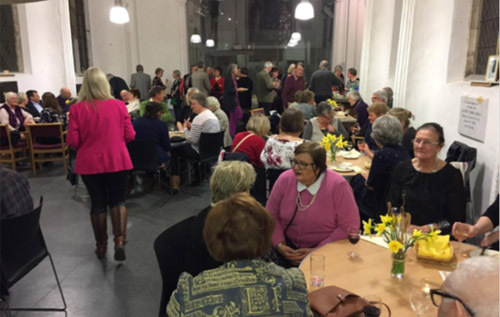 Spring flowers decorated the tables, which were laden with a wide variety of cheese, bread, crackers, salads, chutneys and pickles, and the wine and fruit punch flowed freely. There were impromptu musical interludes throughout the evening, culminating in a rousing version of Abba’s Thank You for the Music.